Wicca Phase Springs Eternal shared a new music for “Just One Thing”—plus, don’t miss Walk The Moon on tour with Muse. Check out the news you might have missed today below! French pop-punk band Two Trains Left dropped a music video for “Broke Me Again” today. This is the second video for a song off their recently released debut EP, Sorry & Pathetic. You can stream or buy the new EP here. 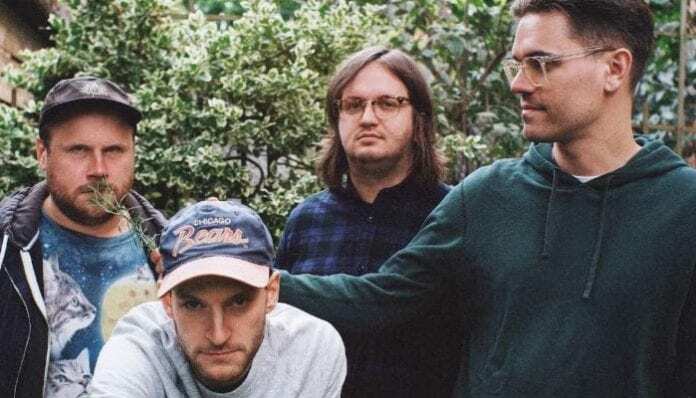 Along with their new single, “Kids,” PUP released details of their upcoming album, Morbid Stuff, including a full tracklist and accompanying tour. Lead guitarist and vocalist Stefan Babcock described the single as “a love song from one nihilistic depressive to another.” Morbid Stuff drops April 5 with preorders available now. The band will also head out on a spring tour, with presale tickets available Jan. 16 at noon local time. $1 of every ticket sold through the presale will go toward The Trevor Project, the leading national organization providing crisis intervention and suicide prevention services to LGBTQ youth. General tickets go on sale Friday, Jan. 18. Grab yours here, and check out tour dates below. In anticipation for his upcoming sophomore album, Suffer, Wicca Phase Springs Eternal released a music video for his latest single, “Just One Thing.” Adam McIlwee says he tried to emulate what was happening musically in the song onto the screen, matching the images to the sounds. Suffer drops Feb. 15, but you can preorder it here. WPSE will be hitting the road in support of the album shortly following its release. Tickets for the upcoming tour can be bought here. Following the end of their upcoming headline dates, Walk The Moon will be back on the road in support for Muse’s Simulation Theory tour. You can grab tickets for Walk The Moon’s headline tour here, and packages for the Simulation Theory tour can be bought here.